There are so many activities in the fall to enjoy from fairs to festivals -- all which encourage you to spend your money. Despite the temptation to spend this time of year, the fall also presents a good opportunity to save your money too. Now is a good time to go on a diet; a fall savings diet to be exact. As the warmth of summer disappears from the air, it is replaced by a cool fall breeze which gently tugs at the leaves on the trees. One by one, the leaves begin to fall to the ground. Some change to beautiful colours of red, orange and yellow while others fade away. 1. Stick it to your gym! Cancel your gym membership and take your workouts to inside your home or the great outdoors. If you do this, you will be able to save hundreds of dollars per year. You can get your workout fix by following thousands of exercise videos completely free of charge from the comfort of your home with YouTube. Or you can go for a jog, run or brisk walk outside -- the options are endless. Besides nothing can be as refreshing as exercising outside and breathing in the crisp fall air. 2. Get going on a jet plane. The fall is a perfect time to travel. Why? This time of year is filled with travel deals. You can take advantage of these deals now instead of waiting to go away in the summer or winter. Make sure you stay on top of the best deals by comparison shopping and setting up deal alerts on popular travel sites. 3. Take advantage of seasonal foods. The fall is a good time to buy seasonal fruits and vegetables such as pumpkins, apples, cauliflowers, pears etc. When you buy foods in season, you will lower the cost of your grocery bill. Sounds like a win, win situation! 4. Think like a robot -- be strategic. 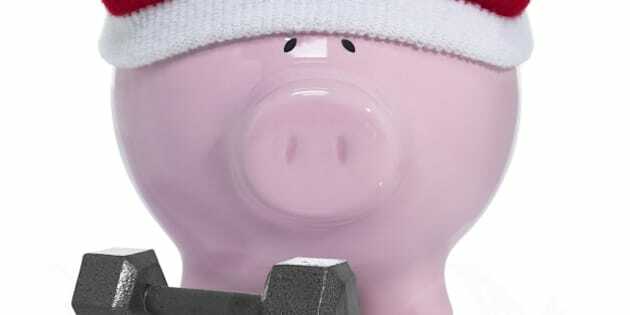 Plan to make your major purchases around specific holidays to take advantage of sales. Retailers love to "piggy back" on popular sales like Thanksgiving, Black Friday, Cyber Monday etc. So if you are in need of something big, hold off until the next big national holiday and you will notice there will be tons of sales to not only enjoy, but also an opportunity to stretch your dollar further. 5. Start your tax prep early. Early preparation is the key to filing a successful tax return. Nothing can be more frustrating than not being able to find documents and receipts needed for tax credits. Besides reviewing your documents early may make you think twice about making unnecessary purchases this year. You can get in some serious financial shape by going on a "fall diet." Like any diet, you have to cut back on some pleasures however every cut back, will bring you closer to your savings goal. So start today to trim the fat and get ready to watch your savings grow.